Nice wooded 2 plus acre lot fronting Clarcona Road just North of SR 414. Property has rear access to Coral Hills Road. 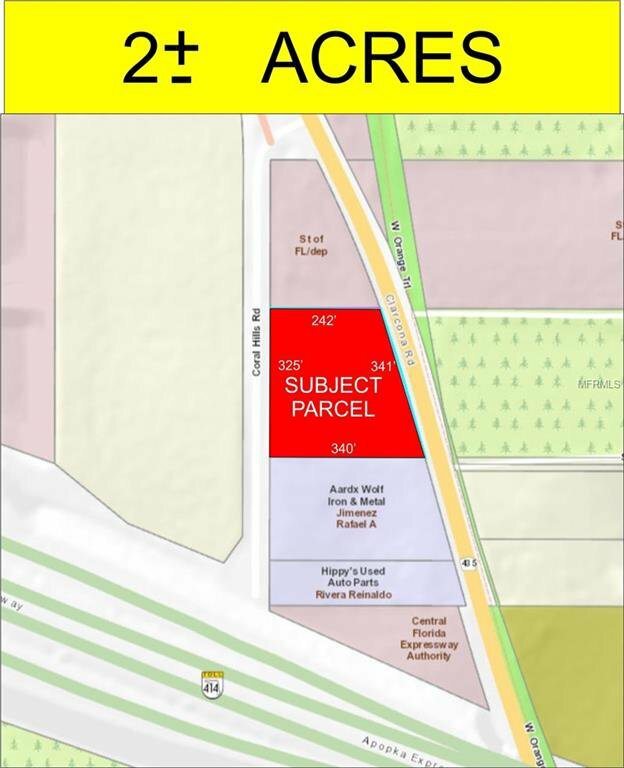 The property is in the City of Apopka. Possible commercial or light industrial use may be available. Listing courtesy of LOU HAUBNER REALTY, INC..